Law firm business models are under a lot of pressure. And this has been true for quite some time. When I was a young lawyer at a regional corporate firm, I would go to the office early in the morning, leave in the evening, and bill almost every minute in between. And clients would pay for all that time. But it’s increasingly difficult to get clients to oblige. Companies have long complained about the ever-increasing hourly rates charged for legal work. And during the recession in the late 2000’s, they began to push back on rates in a big way. They also started pulling more of their work in-house. Companies were able to do more of their own legal work because there was simply less to do during the recession. Plus their in-house lawyers were willing to work extra hard in light of market turmoil and job insecurity. Then, when business began to pick up and corporate legal departments once again needed help with overflow, they simply hired new lawyers rather than sending the work to their outside firms. Jordan’s tweet contained a link to a post at The Globe and Mail. The post is about billing disputes between lawyers and their clients, as well as new technology that is being developed to cut down on disputes by helping lawyers share billing information with their clients in real time. The post also discusses the billable hour business model, which is ubiquitous among law firms, and how it hinders law firm innovation. This is a topic that I’ve written about in the past in a post called The Billable Hour Is Bad for Your Soul. The key question is why don’t law firms innovate more, and why are lawyers willing to lose market share to our own clients rather than aggressively adopt technology to provide faster, better services at more attractive rates? I’ve written some of my thoughts on the topic before, but what do you think? I don’t really agree with this. 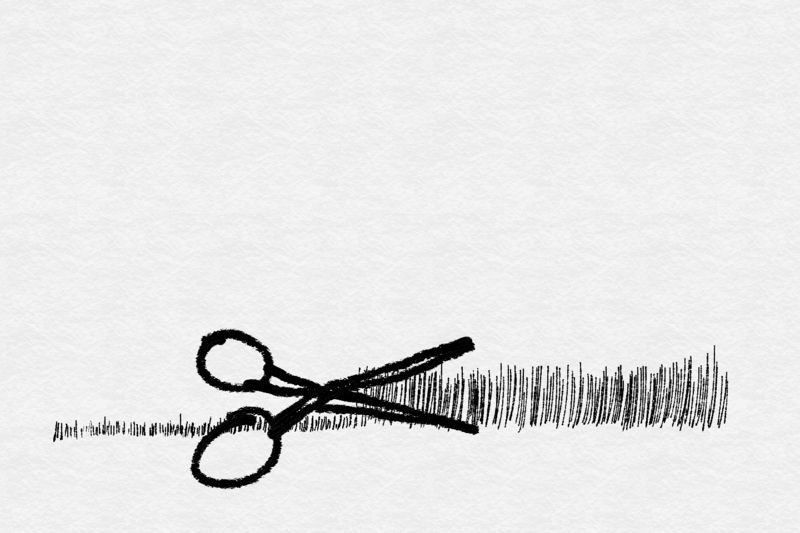 If I was a gardener who only cared about cutting someone’s lawn once I might use scissors. I want my clients to keep coming back, and refer other people to me, so I focus on being efficient. My $0.02 is that efficiency and good communication are the real issue, not the way bills are calculated. I do about 1 new incorporation every month and the costs almost always come out around $4,000. I figured out that I could charge a flat fee, but if I did I would probably charge everyone $4,500 or $5,000 to factor in the occasional deal that gets more complicated. Most clients would end up paying more in a flat fee model. Instead of doing that, I tell clients that the costs usually come out around $4,000, that they can be less we work very efficiently, and they will be more if things get complicated. Jay: I think what you describe is typical for experienced attorneys. It’s easy to estimate how much time it will take for routine matters, so regardless of how you structure the fee, it will come out the same. If $5,000 were the right price for an incorporation, you’d get there by raising your hourly rate. Also, I’ve never known of an attorney to purposely run up a bill by working slowly, although I’m sure it happens. Still, I think lawyers are slow to adopt technology largely because there’s no economic reason for us to invest in it. That will hurt our profession in the long run because we won’t benefit from innovation we could have adopted. I was trying to make the point that $4,000 is the right number for most clients. If I charged a flat fee I would raise the price for everyone so that the extra time spent on some clients is averaged over multiple transactions. I realized this means I would charge the super-efficient clients more than I needed to, and the less-efficient clients less than I ought to, and decided to focus on efficiency and communication rather than billing methods. I’d love to hear what specific ideas you have for technological innovation. I spent a lot of time looking at document assembly software when I was at VLP. I came to the conclusion that you need a full time forms-management person in order to make that viable. In my practice, I automate a lot of routine documents. E.g. I prepare founder stock purchase agreements and stock certs using a mail merge connected to the stock ledger. This makes a HUGE difference in reducing typo errors. It is also much faster to prepare multiple sets of documents since I only have to type everyone’s info once in the ledger, then auto-populate to the transaction documents. Standard forms don’t work quite as well for M&A or technology transactions since each deal is more custom, but I do have a clause library of my favorite versions of numerous provisions. Each provision is in a separate Word file. I use a standard set of Word styles, auto-numbering and paragraph format structure in almost every document I create, so when I drop in a clause into a document it automatically formats itself to fit the paragraph and numbering structure in the document. It has taken me a bunch of hours to get that all set up, but spread out over a long period of time. Totally worth doing because the work product is much better and less prone to stupid typos. Jay: I have no doubt that what you describe is in the top 1% of attorneys as far as effectively using technology to increase quality and efficiency. And you’re talking about utilizing technology that’s already sitting on everyone’s desk and in the context of a billable hour pricing model. I don’t think moving away from the billable hour would magically make efficiency aficionados out of lawyers. But I do think that the current approach generally rewards inefficiency (or at least doesn’t punish it), and I wonder what the long-term effect will be. In addition to clients currently opting not to farm work out to their outside counsel, non-lawyer vendors are getting involved wherever they can avoid running afoul of unauthorized practice of law statutes. If not for those statutes, the legal profession would probably be under a lot more stress. I agree with you. I just wonder what the realistic alternatives are.